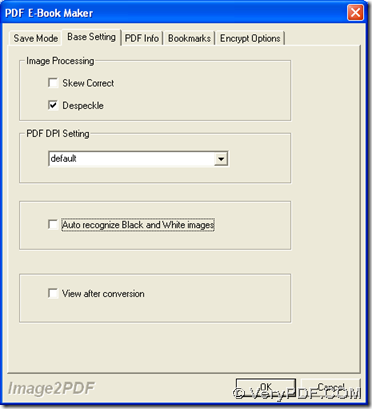 With Image to PDF Converter, you can suppress speckle and convert image to PDF with GUI interface and command line in Windows platforms. Please download installer of Image to PDF Converter from this link: http://www.verypdf.com/tif2pdf/img2pdf.exe, then double click this installer and follow setup wizard step by step till it is successful to install GUI version of Image to PDF Converter. 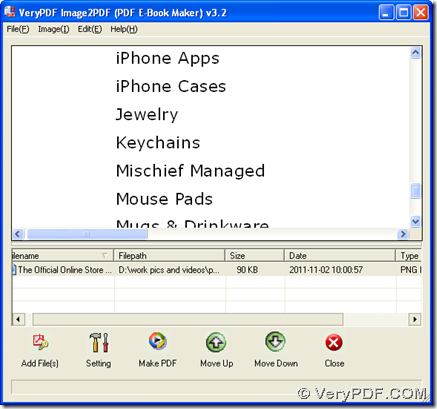 After that, you need to download zip file of CMD version from this link: http://www.verypdf.com/tif2pdf/image2pdf_cmd.zip, then CMD version of Image to PDF Converter can be used after you extract content of zip to your computer. 2. Click “Setting” on GUI interface, then there will be a pop panel on your screen. Then, you need to click “Base Setting” tab > click check box of “Despeckle” there in order to suppress speckle later, then click “ok” in order to save this setting. After program jump back to GUI interface, please click “Make PDF” there > click “Convert one file into one PDF file” on dropdown list, so there will be a dialog box popped on your screen, where you need to select one destination folder for saving PDF later, at last, please click “save” there so that Image to PDF Converter starts to process your image, and later on, it can be processed into PDF file with no speckle. Command prompt window is running environment of CMD version of Image to PDF Converter, and you need to follow steps below to start it: click “Windows + R” > input “cmd.exe” in dialog box of “Run” > click “ok”. f:\image2pdf_cmd3.2\img2pdf.exe is path of “img2pdf.exe”, which is typed for calling program itself so that CMD version of Image to PDF Converter can be effective; –c is parameter to clear spot in image; –o g:\end\human.pdf is essential combination, and the former is essential parameter to generate PDF file, and the latter stands for objective path for saving PDF file; d:\start\human.bmp is source path used to add this image for this conversion. After you type command line like above, one click on “enter” can help you convert image to PDF with speckle suppressed. 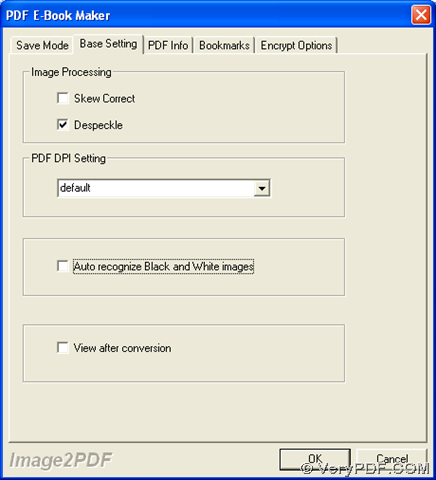 How to convert flash to PDF with better quality? How to set color depth when converting EMF to TGA?